Made this cute card using the Stamps of Life card set. I used Stampin Up whisper white paper and Anna Griffin paper. The inks are all Stampin Up colors. 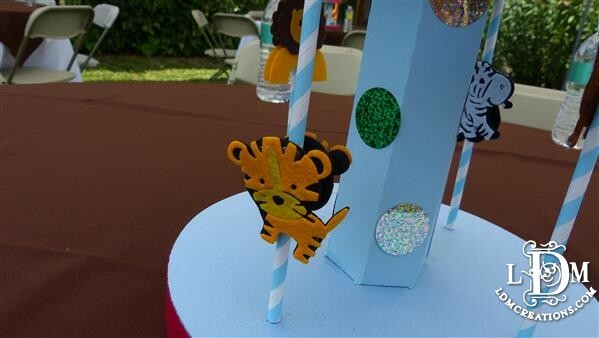 Here is the video on how to make the party favor boxes. They are easy. You can order the scallop punches through my Stampin Up website to the right or by clicking here. Hi there and thank you for patiently waiting for the second video. I have been so busy and just have not had time to upload the second video till now. I used SVGcuts (click on the SVG banner to the right of this post) and search for Summer Street Carnival set. 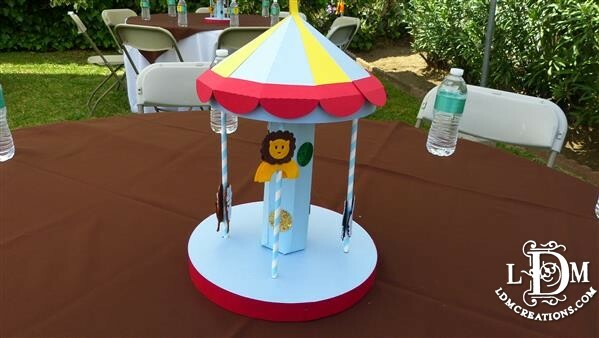 I used the tent box for my carousel. 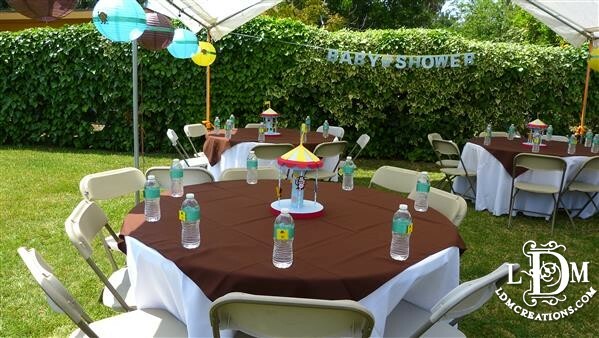 The centerpieces came out really cute and everybody liked them at the party. The video gives you an idea on how you can make your own. Next episode – Party Favors!